Interested in Bringing A Group to the Nature Center? We love kids (of all ages) to experience nature! However, the CNC & Farm is a busy place, especially in the summer, with scheduled field trips and summer camps happening almost every day. If you plan to bring a group of people (10 or more) please call ahead to check our schedule and discuss payment options. If you are bringing a group for a day trip from another facility, the fee is $50 per day for your group (up to 35 maximum). 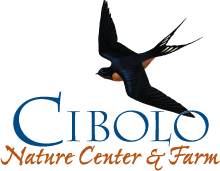 We invite garden clubs, naturalist groups, and other nature clubs to come learn more about the Cibolo Nature Center & Farm. 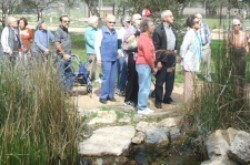 We offer guided group tours and hikes of the Cibolo Nature Center and the Herff Farm for $5 per person ($50 minimum). If you are interested in scheduling Outdoor Classroom field trips only, please contact Shasha McCracken. 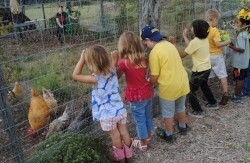 The Cibolo Nature Center & Farm is a non-profit organization that is funded completely through grants and donations. Therefore, we maintain the buildings, grounds, and the restrooms at our expense. Your cooperation and support are appreciated. To learn more and schedule your group's visit, please contact Jennifer Wyle.